Alan M. Kanter is a lawyer practicing in many different areas of law, and a neutral ADR provider (i.e., an arbitrator, mediator, facilitator and case evaluator). In addition, Alan is an educator, teaching both practicing attorneys and law students; a consultant and an author, focusing primarily on the field of mediation and arbitration. Alan engages in a significant amount of ADR work for the American Arbitration Association (ï¿½AAAï¿½) and has been an arbitrator from the early 1980ï¿½s to the present. He is currently AAA-certified as an active mediator and arbitrator panelist on the regular and complex Commercial and Employment Law Panels of the AAA, a panelist for the National Arbitration Forum, and a panelist for the American Health Lawyers Association. He is also Court certified to mediate and arbitrate in the Courts in the State of Michigan. Alan has been a case evaluator for the Oakland County Circuit Court since 1984, and participated in the creation of the Oakland County Circuit Court Early Case Evaluation Program. For the last approximately 30 years, Alan has practiced as a litigator in the complex commercial, corporate and employment areas, and has also specialized in complex transactional law. His ongoing experience is in very diverse areas, including commercial law, corporate law, employment law, health law, business law, franchise law, and diverse areas of business law. In addition, he has specialized in computer and licensing law and technology, focusing on Internet Law. Alan has long represented people who have been defrauded while engaging in securities, business and franchise transactions. Alan was appointed to be an attorney disciplinary panelist by the State Bar Attorney Grievance Commission, and has participated in deciding the professional fate of many attorneys for the last approximately 12 years. He has been a Council Member of the State Bar Computer Law Sections and the ADR Section. During the 2005-2006 term, he was elected and served as the Chairperson of the ADR Section Council. Alan is a frequent lecturer for the Institute for Continuing Legal Education and other educational institutions, including most of the law schools in Michigan. Alan attended Wayne State University where, in 1976, he earned a BA with High Distinction in the field of History, and was awarded membership in the Phi Beta Kappa Fraternity, which emphasizes excellence in the field of liberal arts. Alan continued his post graduate education by attending law school at the Wayne State University School of Law, where he earned his Juris Doctor Degree in 1979. He has been a member of the American Bar Association since 1979 to the present, and a member and elected chairperson of numerous sections of the Oakland County Bar Association. He has been a member of the American Bar Associations Franchise Forum since its inception. In the year 2000, he was asked to become a member of the International Academy of Mediators and was elevated to the position of Fellow of that organization in the year of 2005. He has taken post graduate classes in the field of ADR at the Pepperdine University School of Law, Strauss Center for Dispute Resolution, and at the Harvard University School of Law. He has been selected as one of the Best Lawyers in America from 2004 to the present; has been included in the ï¿½Whoï¿½s Who in American Law Bookï¿½ and the Whoï¿½s Who in America Book at least 20 times in the last 30 years. 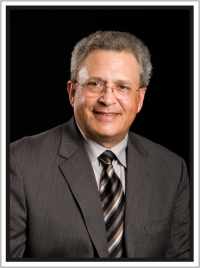 In 2007, Alan was chosen as one of the Best Lawyers in the Metropolitan Detroit Area by Hour Magazine, and in 2008 Alan was selected to be included in the Super Lawyers of Michigan Publication. In 2012 Alan was named one of "Detroit's Best Lawyers".